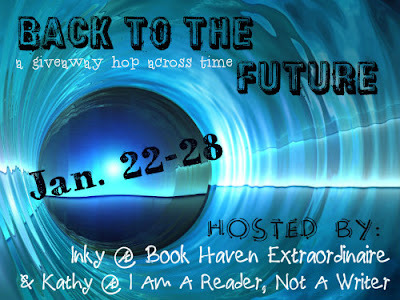 Thanks to both Inky and Kathy who put together this terrific giveaway hop! And now on to our featured author, Samantha Durante who wrote a great book, Stitch. Goodreads Book Description: Her heart races, her muscles coil, and every impulse in Alessa's body screams at her to run... but yet she's powerless to move. Blurb about our author: Samantha Durante lives in Westchester County, New York with her husband, Sudeep, and her cat, Gio. Formerly an engineer at Microsoft, Samantha left the world of software in 2010 to pursue her entrepreneurial dreams and a lifelong love of writing. A graduate of the University of Pennsylvania’s Jerome Fisher Program in Management & Technology, Samantha is currently working full time for her company Medley Media Associates as a freelance business writer and communications consultant. Stitch is her first novel. Learn more about Samantha at www.samanthadurante.com. 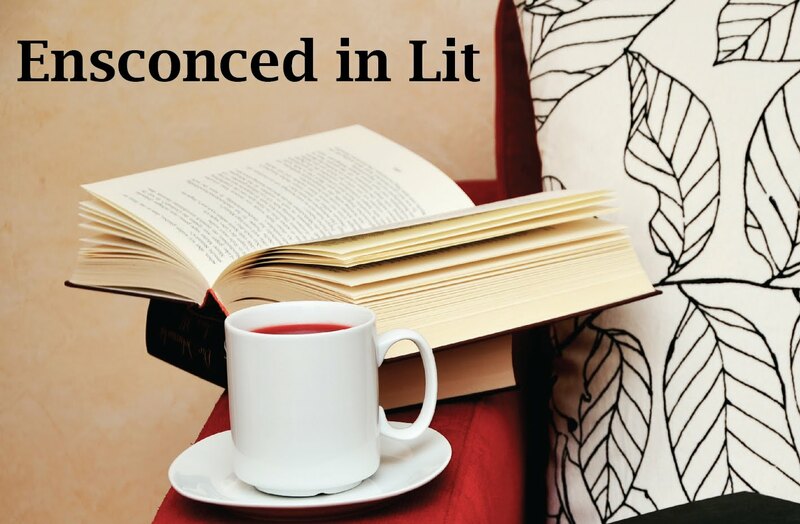 Me: Thank you so much, Janie, for joining us on Ensconced in YA, for this interview! I would love to hear a little about your background-- where you grew up, what you are interested in studying in college, etc. Me: I think we all know what freshman year is like-- it's a year to really explore your options! Tell us how you first met Alessa, your best friend. Janie: Haha, oh man, the day me and Less met at ESU was AMAZING - she made quite an impression, lol. I was moving in to my room in the Z-E-Pi chapter house and all of a sudden I hear this GRUNTING noise from down the hall and I'm like, "WHAT is going on over there?" And I'm super nosy, so naturally I went to check it out. Lo and behold, I turn the corner into what I would later learn was Alessa's room to find her TRAPPED ON THE BED UNDER A MINI-FRIDGE. No joke! She had apparently tried to lift it out of the box alone and toppled backwards, getting herself stuck underneath, so I walk in to find what looked like 80 lbs of metal with arms and legs flailing in every direction. I almost DIED laughing, but I managed to hold myself together long enough to rescue her and we've been best friends ever since. :-) It really feels like we've known each other forever! Me: Wow, your adventures make me want to go back to college. Although, probably not stuck under a mini-fridge. All of my readers want to know, any special boys in your life? Me: Ooooh, he sounds really cute! You'll have to keep us posted. What is your favorite college class and why? Your least favorite? Janie: My favorite class this semester was psych. It was just so interesting learning about how people think, why they behave the way they do, what motivates them, etc. It really made me consider things from a different perspective (and it was applicable not just to my life as a student, but to my REAL life as well...). My least favorite - hands down - was physics. Ugh, it was so hard. I just took it so that I could have a class with Less and it turned out to be WAY more difficult than I expected. Plus it has a weekly lab that meets outside of lecture, so it takes up more time than most of my other classes. What a pain! Me: Labs always tend to take up more time than they are worth. Well, enough about school-- on to the good stuff. What is the best and worst thing about living in a sorority house? Janie: Best thing? Definitely the parties. Alessa always complains about having tons of people running around the house making a mess, but I think it's fun. Worst thing is the drama... SO much drama! It's amazing what people can get into fights over. I actually watched two of my housemates get into a heated argument over which dress one of my other housemates should wear to a semi-formal. Seriously? It was absurd. But the parties just about make up for it, haha. Me: Wow, you'd better hide your dresses from all the other girls to avoid the drama it sounds like! And lastly, we all want to know-- do you REALLY believe that Alessa is seeing a ghost? Have you ever seen this mysterious boy? Me: Thank you so much for joining us today! Best wishes! Janie: Thank YOU so much! This was so much fun. Talk to you soon! I hope you all enjoyed this awesome interview. Now time to enter this great giveaway! This is a blog hop! Enter some other great giveaways! Thanks for the giveaway! I love the review!!! 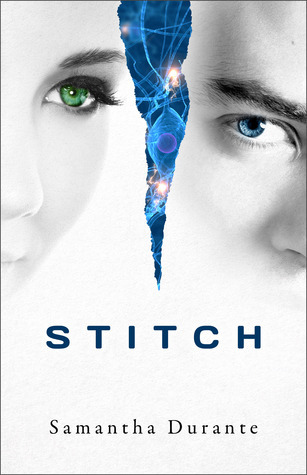 Thanks so much for your interest in Stitch, guys! I loved the interview. Thanks for sharing. This looks great, I love both dystopias and paranormals, so combining them? Awesome. This sounds like a really good book. I can't wait to read it. This looks like a really good book. Can't wait to read it!! This looks great. I can't wait to read it. Thanks for the giveaway! I haven't heard much about this book, but it sounds interesting! I cannot wait to read this book! I've heard a lot of good things about it. And now I have to read it!!! Thank you for being a part of this fun and awesome blog hop!! The interview reminded me of my college years. Thanks for the interview, and thanks for the chance to win the book. I love the interview! Thanks for a great giveaway!